i need help with my lawn or how to plane new grass with a backyard with nothing but weeds? I need help with my lawn or how to plant grass in my backyard with nothing but weeds? And i do mean nothing but weeds!!!!!!!!!!!!! Since you are in zone 9b in Upper California, you have some very good choices for grass seed or sod. A fescue would be great choice since it will stay green all year long, providing you take care of it. 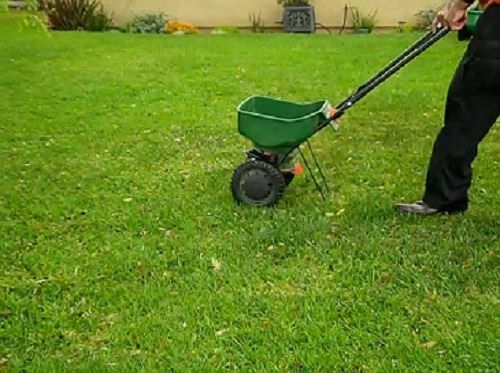 There are several approaches to re-establishing your lawn. If you indeed have nothing but weeds, one effective way that I prefer, would be to dig all of the weeds up. 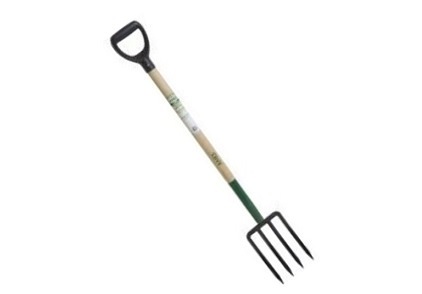 Use a tilling fork also known as a Garden Fork and Spading Fork to name a few, for this part of the job. 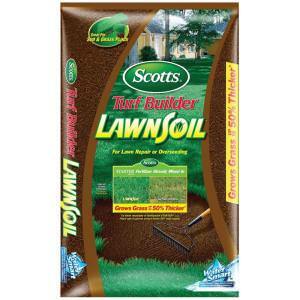 Prior to taking on this task, it will be a good idea to water the area you will be working on to soften up the soil. This is a labor-intensive project but if you do it right, you will have some great results. also get rid lots of weed seeds that are still on the weeds in your yard. You could just rototill the whole area and then rake up the weeds but all those weed seeds will be in the ground along with all the other weeds seed that are there naturally. To help remove as many weed seeds as possible, water the area and let the weed seeds sprout over the next week after you have dug up the weeds and removed them. Then either kill the weeds with a weed killer or pull them out by hand. Using the herbicide will be simpler. Repeat this process about 3-4 times or as often as you can. The more you kill off the weed seeds, the fewer you will have to complete with your new grass. Once you have removed the weeds, it is time to amend your soil. 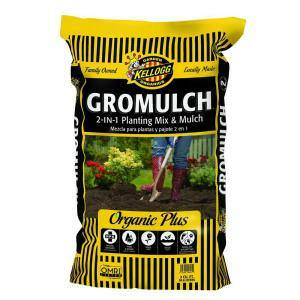 Use a good quality soil amendment such as Kellogg GroMulch or Natures Care Garden Soil, and then use a rototiller to blend the soil into the ground about 6-8 inches. If you have not already installed automatic sprinklers, this would be a great time to get them installed. Next, level and slope the area away from your house. Water the area to allow the soil to settle. Rake and level as needed. For sod, a good approach would be to add about ½ inch of straight GroMulch or Natures Care Garden Soil on top of the prepared soil, water the area enough to dampen that top ½ inch of soil. You are ready to lay sod. After your sod has been laid down, water, water, water. The idea is to keep the sod “GUSHY WET” for that first week to give the roots a chance to be established. 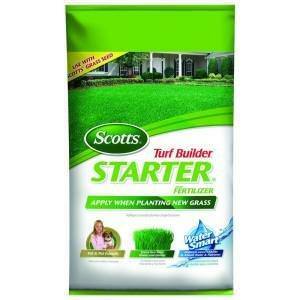 You could add a Starter Fertilizer after you have put your sod down. 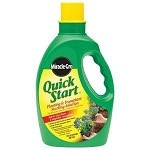 The Starter Fertilizer will help to promote a more rapid root growth. 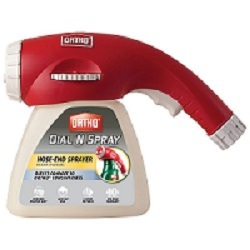 You could also use the Miracle Gro Quick Start attached to a hose end sprayer. 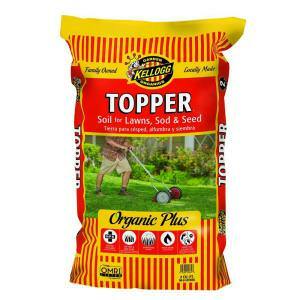 For seed, add about an inch of a good quality topper such as Kellogg Topper or Scotts Lawn Soil. This will give the new seed a good base with which to sprout and grow. After applying the seed, cover the seed with 1/8 to NO MORE than 1/4 inch of the topper. 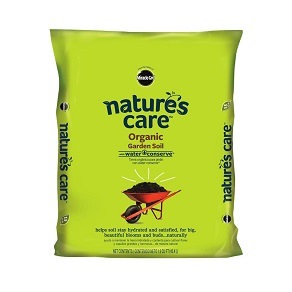 This will help to keep the seed damp, help to prevent the wind from blowing the seed away and most importantly, covering the seed will help to keep the hungry birds from eating your newly planted seed. Keep the soil damp all day long. DO NOT water at night. You seeds should sprout in 10-14 days. Once your seeds start to sprout, reduce the frequency of watering to 3-4 times a day. Try to water in the morning so that the new grass seedlings are hydrated for the whole day. If you have to water toward the evening, try to do it about an hour or more before the sunsets. Watering your grass at night can create a fungus that will kill off your new grass. As the nighttime temperatures cool, it creates a perfect breeding ground for fungus. 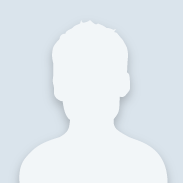 Please let us know if we can be off further assistance.